When the company was first established in 1956, it was the dawn of development of electronics: our first intercom system still worked using thermoionic valves. 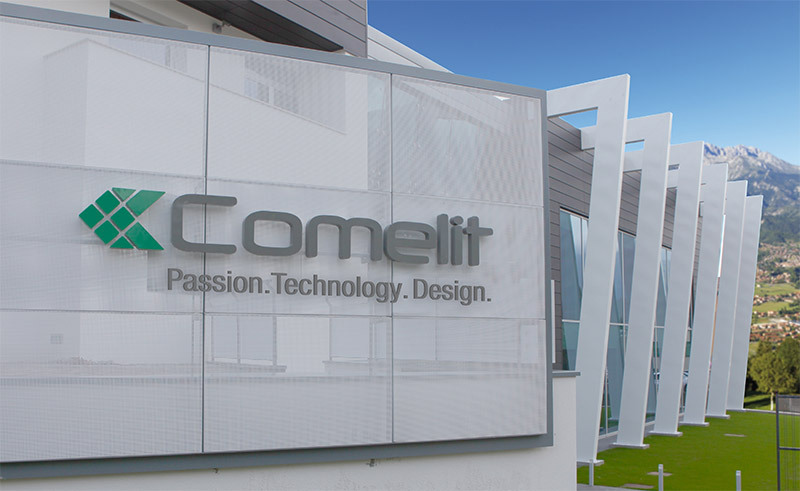 For more than half a century, Comelit has been a leading player in an extraordinary evolution along with the technologies. Today we are specialists in: video and audio door entry systems, access control and video surveillance, telephone and telephone switchboards. In all these application fields, and due to our commitment to research, what seemed impossible just a few years ago is now a concrete reality. Innovation is the characterising factor behind our work, although the passing of time has never altered our vocation: to make design and functionality, aesthetics and technologies communicate with each other and to put them at the service to enhance the quality of life. Not only this, but also at the service of installers' activities: in home, as in offices, in industry and in the service sector. Comelit's innovations are a definite demonstration of how communication has taken on a strategic central role in improving many daily relationships. Comelit staff, from the management down are aware of this responsability, which is a complex task and at the same time an exciting challenge.